Caroline joined the company early 2018. She is a HR professional with over 15 years Recruitment and Generalist experience. 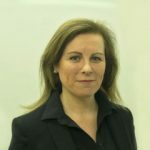 Caroline is a chartered member of the CIPD and has worked in the UK & Ireland in IT, Manufacturing, Retail, Healthcare and Tourism industry. Caroline is currently recruiting for various establishments across the Hospitality industry and provides a HR consulting service to Hotels and Restaurants within the Connemara region. Sinead is an experienced head chef who is passionate about good food, skilled execution and organised operations. Sinead & Stefan have been working together since 2002. She is involved in many food consulting projects ranging from gastro pubs to luxurious hotels. 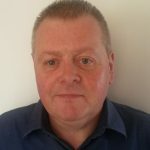 John is a F/T Sales Representative of James Nicholson Wine Ltd in Crossgar – www.jnwine.com . He is passionate about promoting & developing the Food and Beverage industry in Ireland. Firm believer that the key to the successful future of the industry can only be achieved by staff training and development. Stefan has started the company in 2016 assisting the Irish Hospitality industry by recruiting Professionals from the EU to Ireland. He has been involved in the Irish Hospitality Industry since 1988. As co owner & chef of Erriseask House Hotel in Connemara he helped shaping Ireland as a culinary destination. He has received many accolades from Bib Gourmand and 1 Star Rating by the Michelin Guide, Chef of the Year awards by Egon Ronay & Georgina Campbell, Multiple AA Rosettes amongst others. 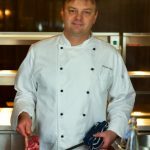 Stefan has worked on many consulting projects since 1995 and was Executive Chef in Ashford Castle for 12 years.